TalkTalk has announced plans to revamp its mobile TV service to customers, which will allow users to watch more programmes while out and about. According to the company, the large-scale update will offer TalkTalk’s 1.3m TV customers a more streamlined platform, to "make it easier for customers to find everything they want to watch in one place." Viewers will also be able to take advantage of new app features such as the ability to pre-order films, and a newly-created ‘Season Pass’ feature, which provides access to multiple box sets in a single purchase. The roll out is set to begin this summer, and TalkTalk will provide more detail on the full suite of new features in the coming months. 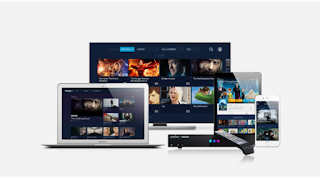 TalkTalk viewers already enjoy multi-device viewing, as the latest movies and popular boxsets are available to stream, own and download on iOS and Android devices, alongside Smart TVs and Chromecast. 2017 marks the fifth anniversary of TalkTalk's TV service. It currently offers a TV service on smartphones and tablets called "TV2Go".